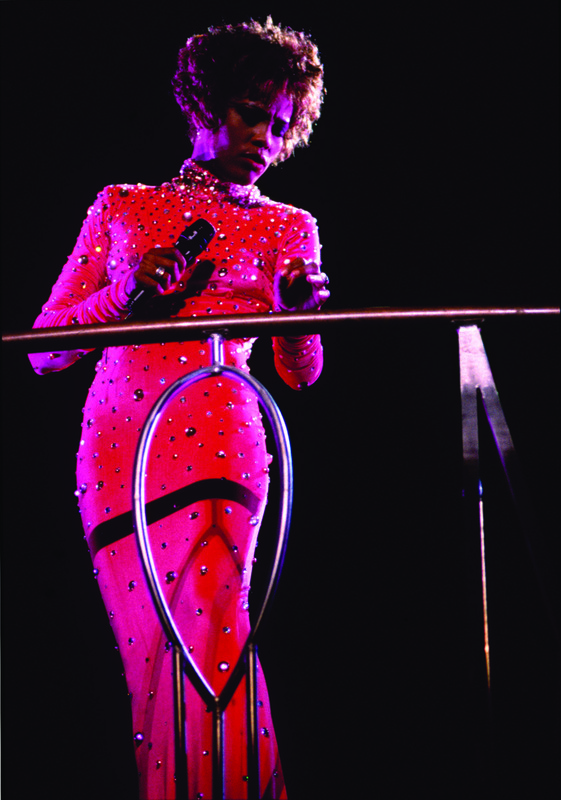 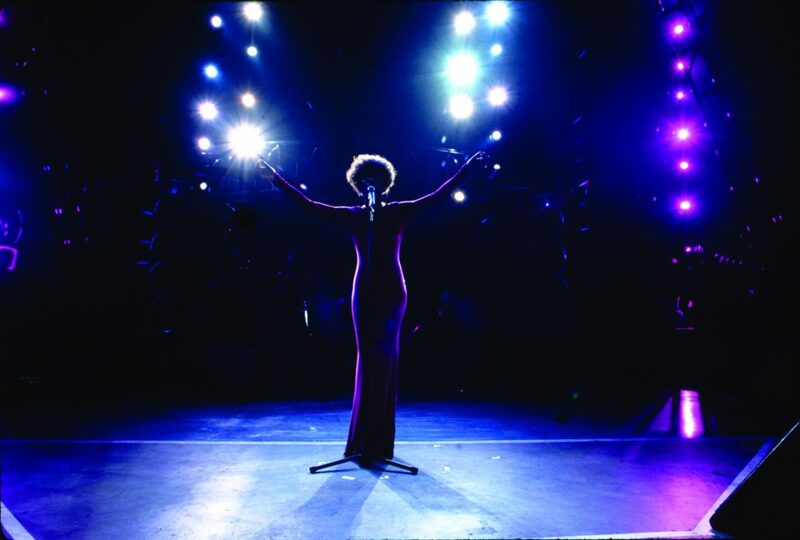 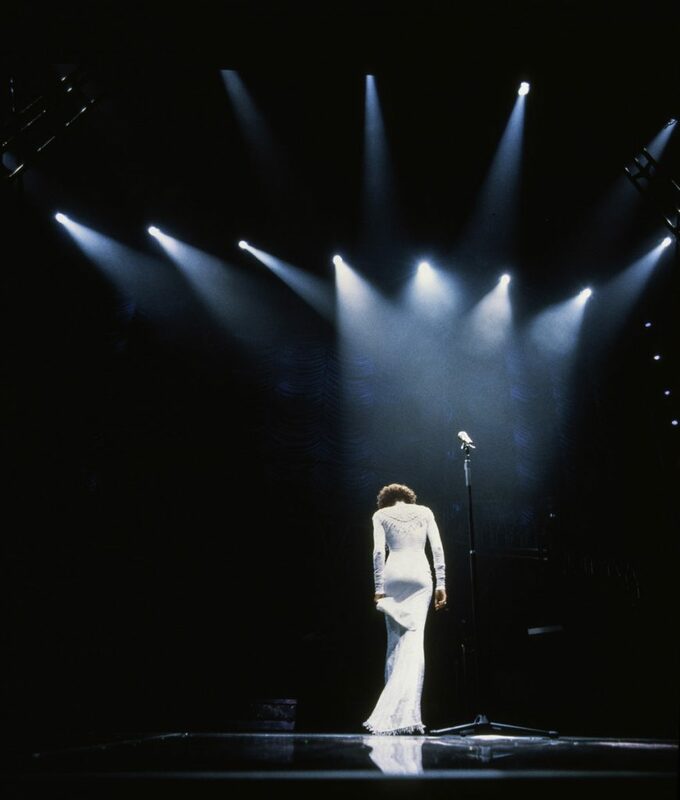 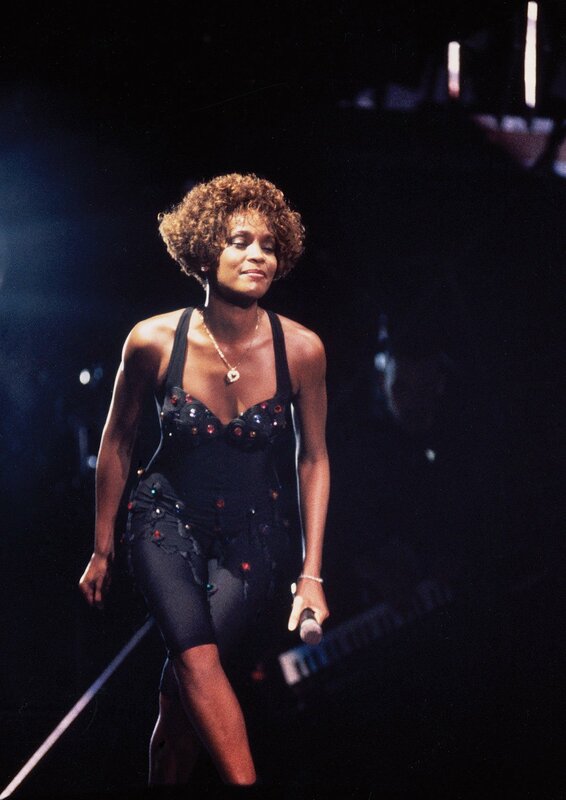 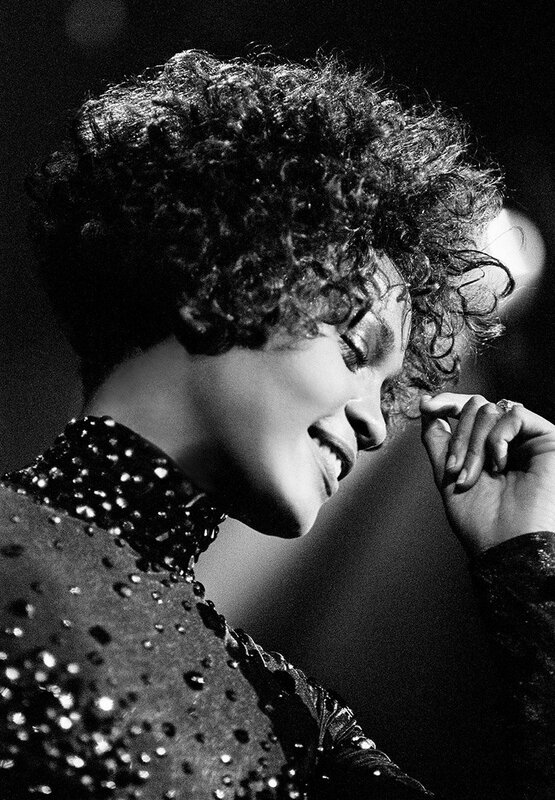 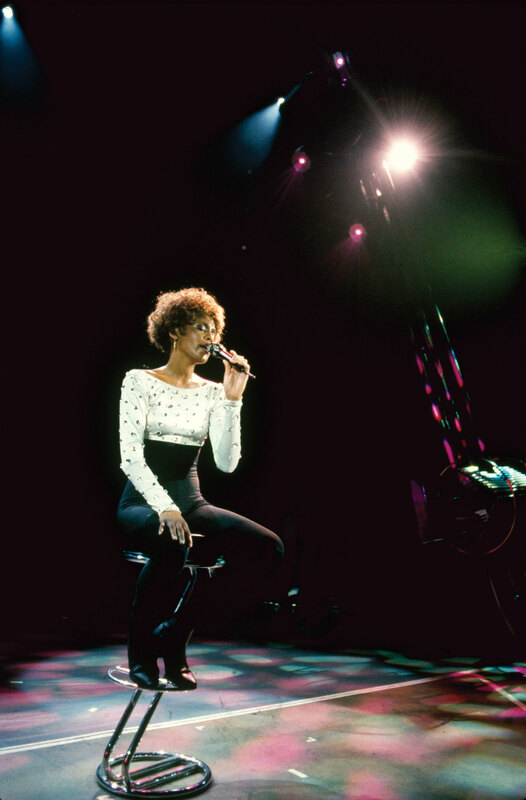 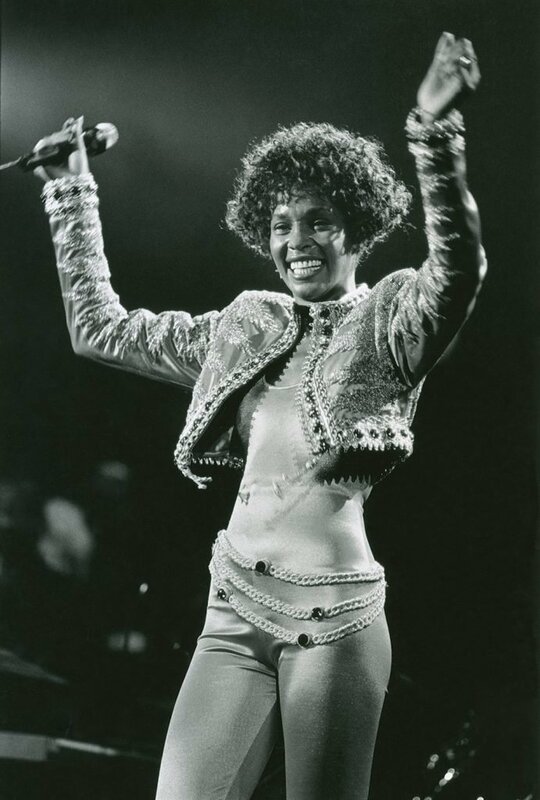 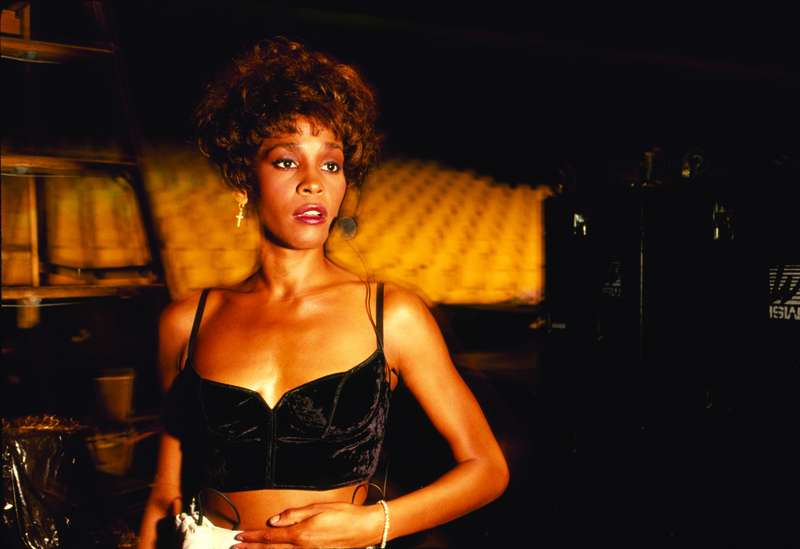 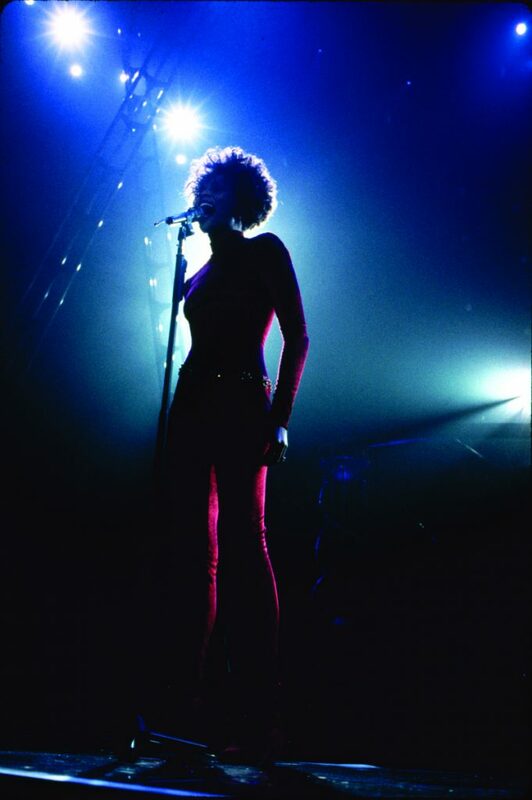 Whitney Houston takes a bow on April 18, 1991 onstage in Knoxville, Tennessee, at the end of her opening show of the U.S. portion of her I’m Your Baby Tonight World Tour. 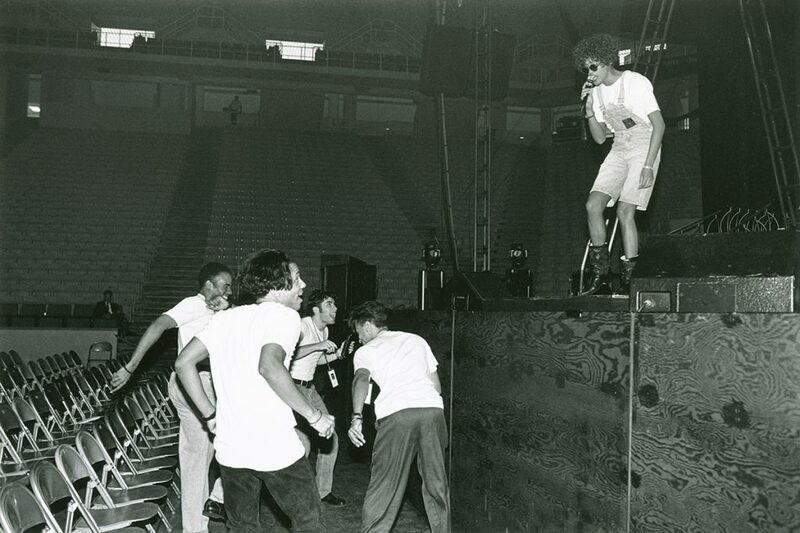 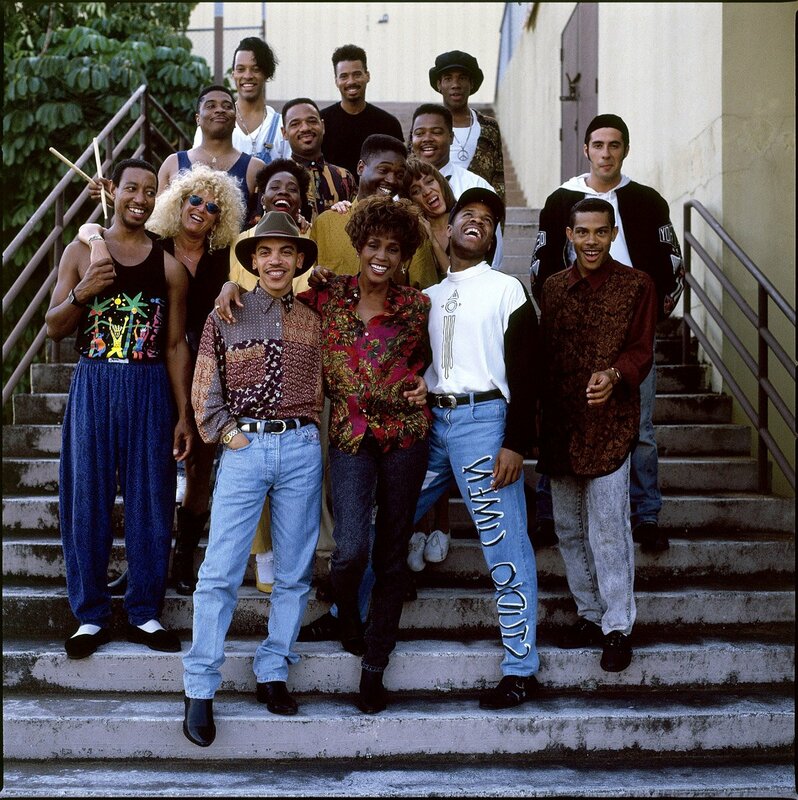 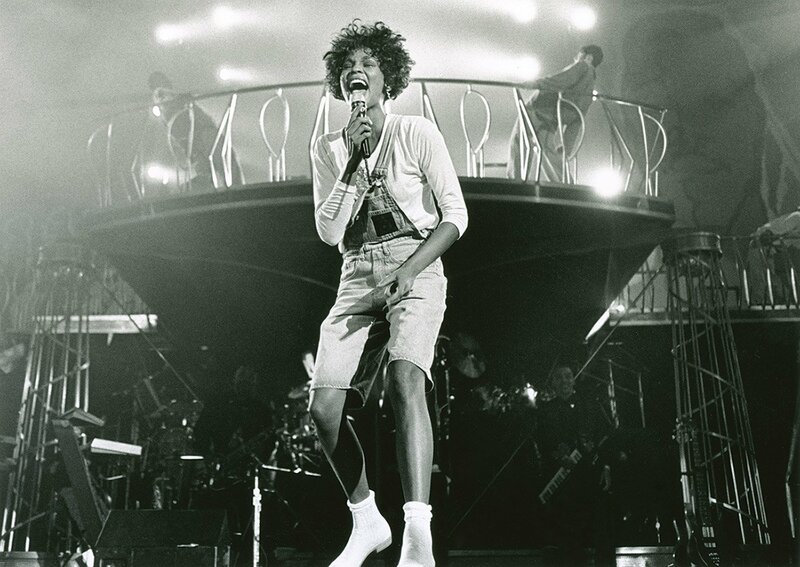 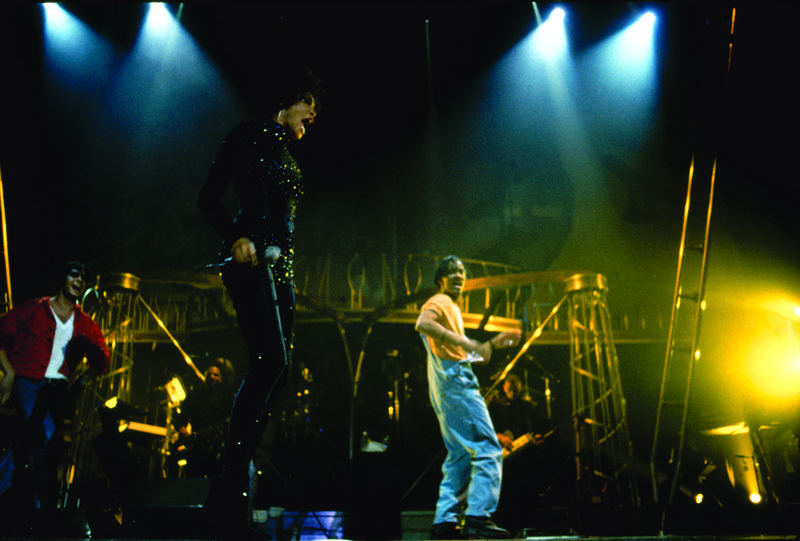 Whitney Houston with band members and dancers for the I’m Your Baby Tonight World Tour. Whitney Houston and her father, John Houston. 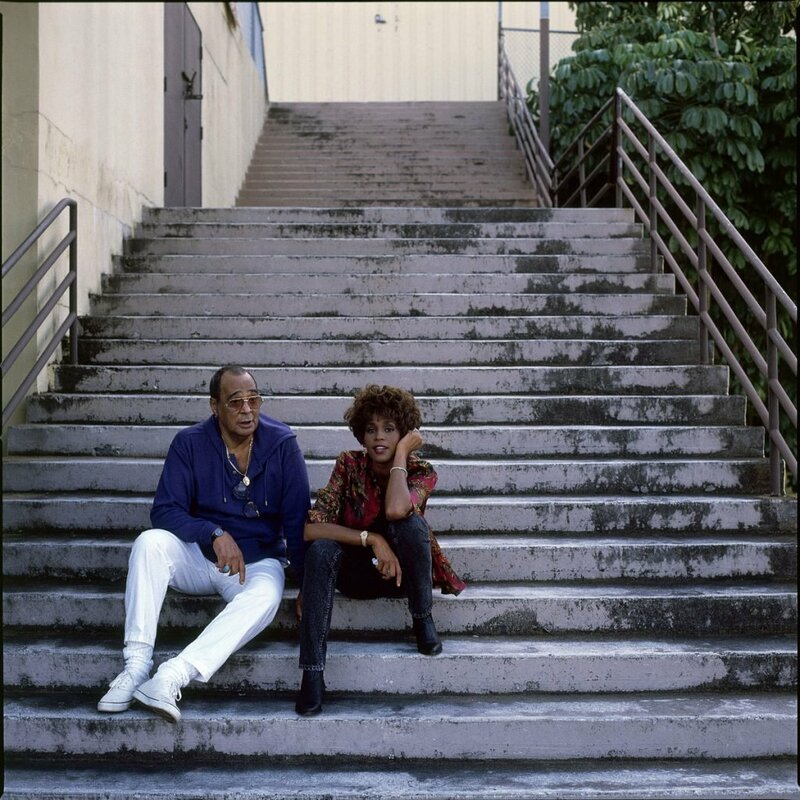 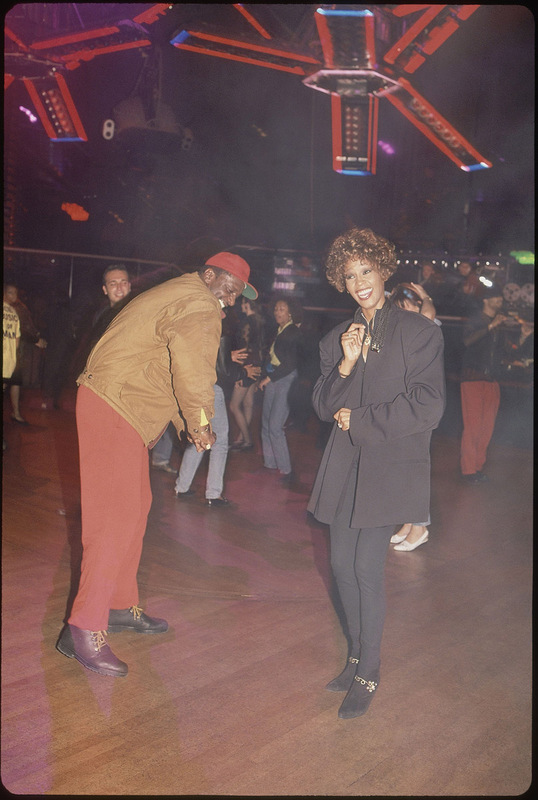 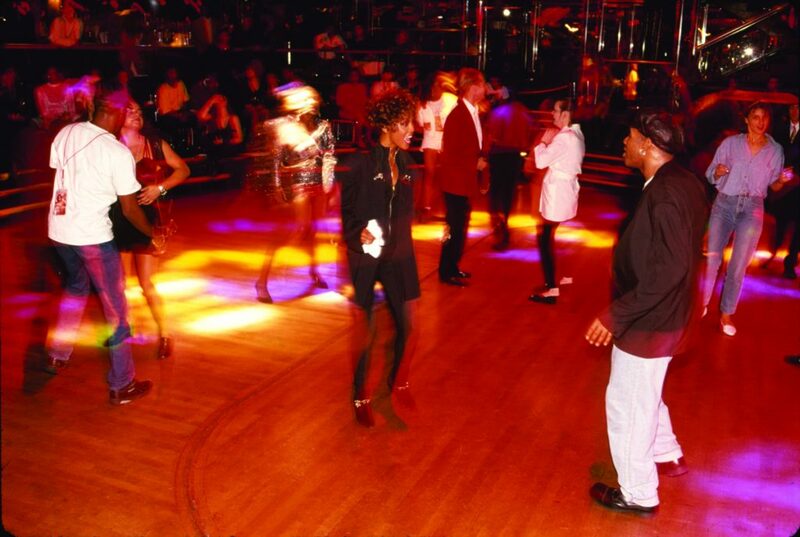 Whitney Houston and her brother, Gary Houston. 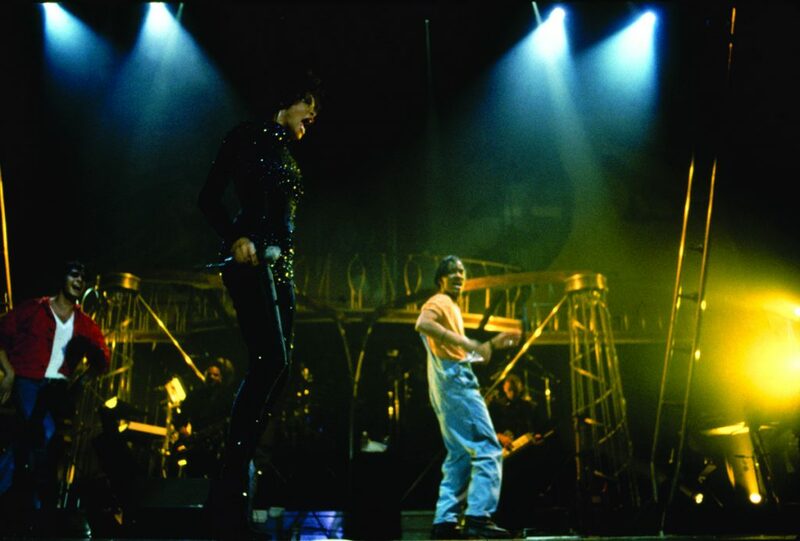 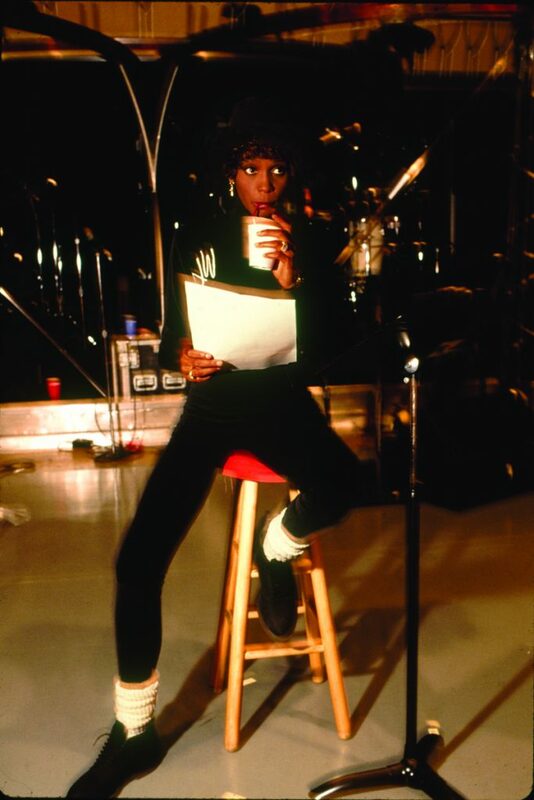 Whitney Houston and Khandi Alexander, choreographer for the I’m Your Baby Tonight World Tour.